These are just a few quotes about our first ever Cross-Government Project Delivery Conference, where all the departments came together to talk about the future of project delivery. Government is currently delivering a vast, complex and ambitious portfolio of projects and programmes. On a day to day basis there are 11,000 people working across Government to deliver projects, and they make up the Government Project Delivery Profession. 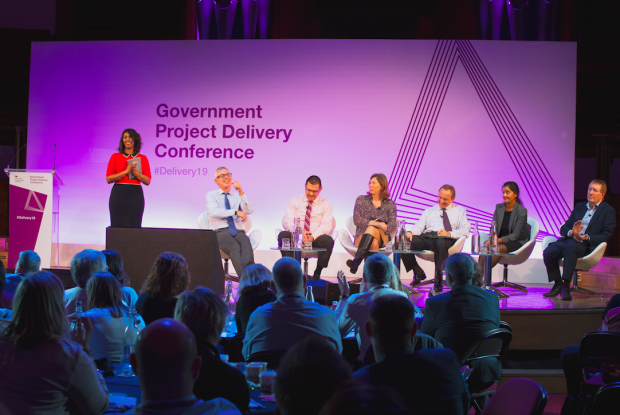 Whilst individual departments host conferences every year, earlier this month an unprecedented number of project delivery professionals came together for the first ever cross-government Project Delivery Conference. The great value of getting together and networking was mentioned time and time again in the 90% positive feedback on the conference. An incredibly high score for our first one. 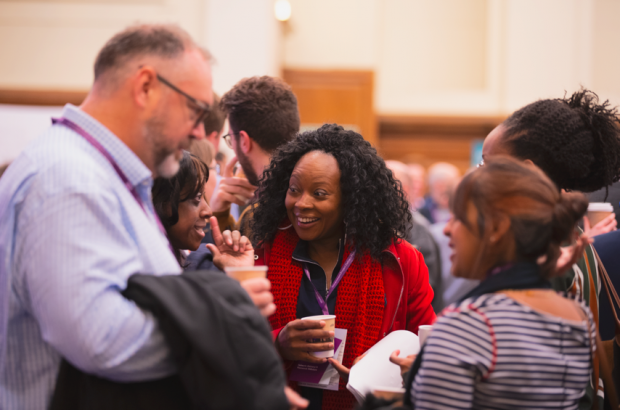 As the 1,400 attendees from 20 departments filtered into the Westminster Conference Centre there was a buzz around the room. Delegates chatting, networking, bumping into each other for the first time in years - there was a real spark around the building. Everyone was getting ready to discuss the key topics of the day: Are we prepared to deliver future projects in this time of change? Are we fit for the future? Sir Amyas Morse, Comptroller and General Auditor NAO, set the scene for the day by laying out the importance of setting up projects for success right from the start. Matthew Vickerstaff, Interim CEO IPA, and Dr Anita Sengupta, Chief Product Officer & VP Airspace Experience Technologies, although working in very different environments, set out the importance of doing the basics well and the challenges of making change happen. Laying out that whilst there is often a temptation to go for the deluxe, we should instead plan for the more pragmatic and achievable Minimum Via Product. Dr Anita Sengupta, Chief Product Officer & VP Airspace Experience Technologies. During the day there was time for attendees to build on what they had heard. The six breakout sessions included portfolio management, policy to delivery and tools to empower your career. During these sessions we connected projects, departments and functions and provided a space for sharing lessons learned. Feedback on the content being “pitch perfect”, it wasn’t all about the speakers, it was also about the networking and informal elements of the day. We were pleased to host a diverse audience, with a mix of grades, with a huge one third of delegates from outside London. 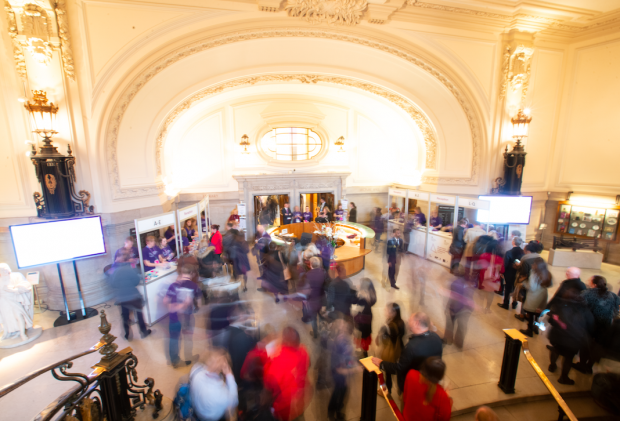 One delegate said that “Free tickets made it easy to justify and attend.” So it was a real diagonal slice of the Project Delivery Profession. The senior panel discussion attracted a huge turnout, and coming the day after Parliament’s meaningful vote on EU Exit, the questions were hard hitting. To use the delegates’ words, “The open discussion with Q&A at the end with John Manzoni and the panel was my personal highlight”. “The challenges of Brexit were not glossed over” and “I really appreciated the honesty that came through”. We would like to thank our partner organisations: the Association of Project Management, Project Management Institute, Cranfield University and the University of Oxford for their support and input to what was a very successful day. This conference was about helping us become fit for the future, and to ultimately improve delivering projects, now and in the future. We very much hope that we have made the next step on our journey. Missed it? Not to worry, watch the highlights. The Public Administration and Constitutional Affairs Committee of the House of Commons is currently holding an inquiry into the Government’s Management of Major Projects, to find out how these projects are being managed. There are signs that the government has learnt from errors like these. For the last several decades, successive Secretaries of State for Defence have sanctioned the practice of disclosing publicly, the budget set aside for the procurement of new military equipment for the Armed Forces, both to Parliament and in the invitation to tender released to defence contractors. However, in a major reversal of policy, the government is now refusing to reveal the total budgeted expenditure figure or associated year-on-year financial funding profile, on the grounds that to make the such cost estimates public would be contrary to the commercial interests of MoD. This is because hitherto, defence contractors have taken this information as an indication of how much MoD can afford and responded accordingly – by simply taking a commercial decision to price their proposals to match this figure, instead of working out what it will actually cost to execute the Programme of Work to bridge the shortfall between the starting-point for their technical solutions and the requirement – which is what it ought to be! See this illustration pic.twitter.com/wP25sESOIw. Quoting identical bottom-line selling prices in this way amounts to price-fixing on a grand scale, with the active connivance of the Secretary of State for Defence. See this illustration pic.twitter.com/BQV4KUgdNg. What’s more, MoD’s Project Team Leader at Abbey Wood, Bristol has been denied the opportunity to choose the single preferred Contractor on the basis of price competitiveness, and therefore value for money. The question is, why has it taken this long for the government to conclude that making public the budget set aside for individual procurement programmes only leads to disastrous outcomes?